"Overall it was a great experience, except for one of our guides. This gentleman kept..."
"This tour was amazing!! Exceeded all my expectations! Saw so much and learnt so much..."
"Thrown in with a bunch of strangers, but leaving with a collection of new friends,..."
"My husband and I had Been to Egypt during New Years. Our major concern was regarding..."
"Awesome trip! The tour guides were fun and informative, the group of people were..."
"The tour was excellent. Very well organized. Our tour guide Ramez was fantastic with..."
"From start to finish, we were so well looked after,, how amazing to spend my birthday..."
"Mo was very knowledgeable and organised! 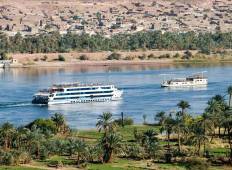 Getting through Egypt was a breeze and we..."
"There were a lot of extra costs that think would be better included. 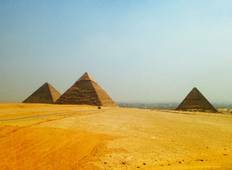 Too much time..."
"Amazing 10 day trip to Egypt unplugged start till the end we had a amazing tour guide..."